"I consider myself to be the bestfather in the world. 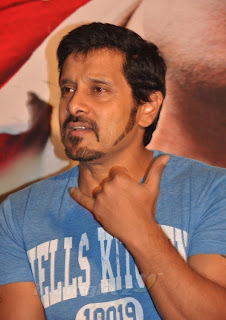 I share a close bond with my children and audiences will see that translated on to the screen in my soon-to-be released flick Deiva Thirumagal ,” observed the hot actor Chiyaan Vikram at thefilm’s promotion meet. The National Award-winning actor plays the role of Krishna, who has a developmental disorder and is the father of a six-year-old child. The movie, directed by A.L. Vijay,centres around the close relationship between a mentally challenged father and his six-year-old daughter. “I would say that Sweetie (that’s what he calls Anushka) or Amala Paul are not paired with me, although technically they are. I would say my real pair is with the child prodigy Sarah, who floored all of us withher effortless acting,” he grins. When he’s asked why he hasn’t been able to match his mind-blowing onscreen chemistrywith Trisha in Saami with any other heroine, he laughs. “Do you think so? A lot of people said that my screen chemistry with Aishwarya Rai was much more alluring than with AbhishekBachchan in Raavan!” he quips with a mischievous twinkle. 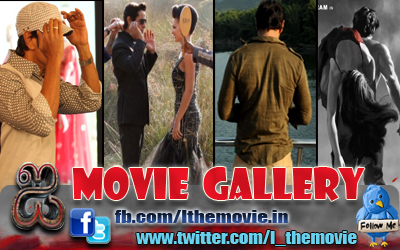 The actor’s dedication and patience is renowned and so is his quest for quality while choosing a script. He explains why he chose to do Deiva Thirumagal . Vikram doesn’t seem to be too keen on pursuing a Bollywood career.He reasons, “I’m grateful to ManiRatnam who launched me in Hindi.Though I got several offers in Hindi post-Raavan, my interest lies in Tamil cinema.”Vikram who shed 15 kilos for Deiva Thirumagal has piled on the weight again for his next, Raja Paatai with Suseendhran, where he portrays a gym instructor. “I took a break and went to Scotland for a holiday. I gorged on all sorts of spicy and fatty foods to add these kilos,” he shows his bulky arms. He will also be seen in a socio-fantasy film, Karikalan and has signed yet another movie with Vijay.